At Oz Extreme we are passionate about sharing our lifestyle with as many people as possible. 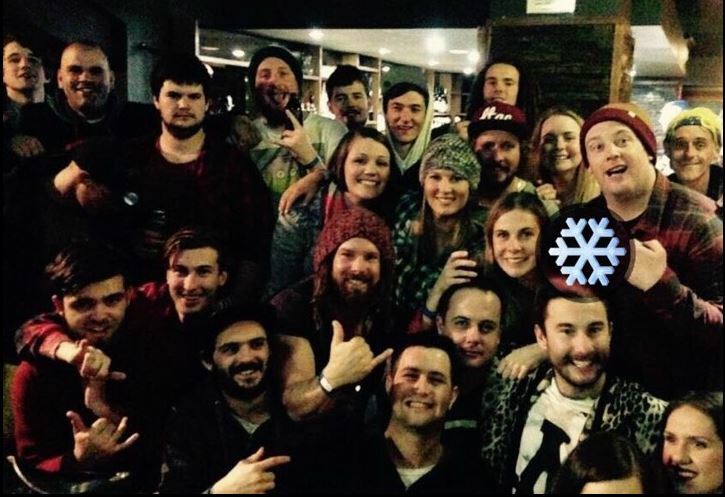 We have so many ski trips organised for 2019 there is no reason not to organise a group of friends, take the whole family or just book yourself in for a great day out at the snow. We have a selection of affordable snow packages available so there is something for everyone. All packages include return transport to Mt Buller by five-star coach. Package 1 Free Gate Entry only. Package 2 Free Gate Entry only, limited lift pass and a two-hour beginner lesson. Package 3 Free Gate Entry only, and unlimited lift pass. We leave Geelong real early, however have a quick stop off at the Mansfield bakery so you can load up on pies, pasties & sausage rolls, ready for the big day ahead! We run a strict timetable. We depart Geelong 4.00am – but need you to (check in 30 minutes prior to departure.) If you have not arrived by this time we (The OzExtreme Staff ) will leave without you. (We require that you be at the SHOP BY 3:30AM.) We will depart a lot EARLIER if we have you all check in!!! (Unfortunately no phone calls at 3:45am we just Depart. It’s just not fair for everyone that’s turned up on Time) Depending on traffic, we aim to arrive at Mt Buller about 8.45am. On the return trip, the coach will leave Mt Buller at 5pm and we usually arrive back in Geelong about 9.00pm. Make sure you read our snow trip terms and conditions and if you’re after a bit more info check out our Frequently Asked Questions. For those of you who want longer than a day, we offer a 3-day trip to Mt. Hotham. Mt. Hotham Trip August 9th, 10th, 11th 3Days Ride time!!! Mt. Hotham Trip September 6th 7th, and 8th 3Days Ride time!!! Bus Transport to and from Mt Hotham from Oz Extreme Snowboard Store Geelong. Yes all the trips do Book out so pick your Dates and book!!! At Oz Extreme we are passionate about sharing our lifestyle with as many people as possible. During winter 2018we will have about 20 snow trips and ski tours scheduled to Mt Buller and Mt Hotham from Geelong. To ensure each trip runs smoothly an experienced tour guide accompanies each group.